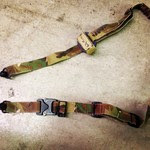 Check out Raine Inc. BLACK’s Rifle Slings. Lots of research and development have gone into these including new pricing. BONUS: For entire month of September, get an extra 10% off. See how to put our Rifle Sling to use here. Don’t miss this offer! To get the extra 10% off and to see full product details, simply pick which Rifle Sling here and in cart, use code “sling10”. Raine Inc. offers a variety of products in their Raine BLACK line, superior high end gear to be used up to the Tier One level, Made in the USA, and Berry Complaint. Raine BLACK: “Serving the Best Warriors in the World”. Further info. 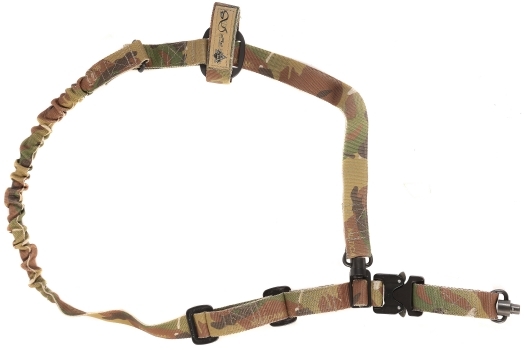 on Gun Sling specifics can be found here. 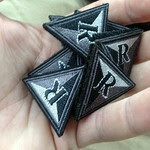 When you go to www.raineblack.com click on “Free Patch” tab at the top for you guessed it… A FREE PATCH! Less than 200 needed on Instagram to reach 1,000 followers on Instagram! Repost #R2giveaway and get yourself into the giveaway drawing. All you have to do is click here to go on Instagram, follow Raine BLACK, then repost the R2Ruck image! Once we reach 1000# followers, one of you will win it! Simply click here to find out more about the R2 Ruck bag. Mike Justice guessed the closest number of miles of 1872 so he won this COBRA Q uick Adjust Sling, Congrats! Thanks to all who participated. Question was: How many miles from Indianapolis does it takes us to get to Mayaguez, Puerto Rico? Answer: From Indy it takes about nine hours. 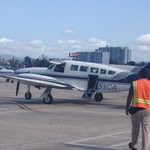 It’s normally two stops and then after the last stop it’s one of those little piper cub seven seater passenger planes from San Juan to Mayaguez- in total about 2200 miles. Here is the puddle jumper taken by Scott Mello, Raine Inc.’s Production Manager, earlier this month. In the near future, Raine Inc. is set to open in Mayaguez, Puerto Rico a new manufacturing facility, approx. 24,000 square feet, after a lengthy renovation. It is in the same industrial park that has housed multiple heavyweights in the tactical gear manufacturing industry and is shaping up to be an outstanding place to work and make great kit. For more info about this facility in the works, read here. Try for this Giveaway: Follow us on Raine BLACK Instagram, just repost and once we’re at #500 Instagram followers–get in on chance to win a pile of special Raine Black SOF LCS kit here. Our goal is 500 Instagram followers. When we get there, with your help getting the word out, we will randomly select one of you for the kit package. 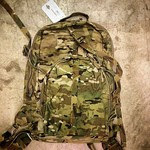 The winner will receive a number of items Raine BLACK submitted to the SOF LCS program, including Vector LCP, fold up dump pouch, general purpose family, and much more. BONUS: Get 20% off your first order on Raine BLACK’s website when you click here and ‘Like’ Raine Inc. on Facebook. The “Like” button will be on the right towards the top of screen. Then, once you ‘Like’ the page, you will receive a special code to use for 20% off first order. 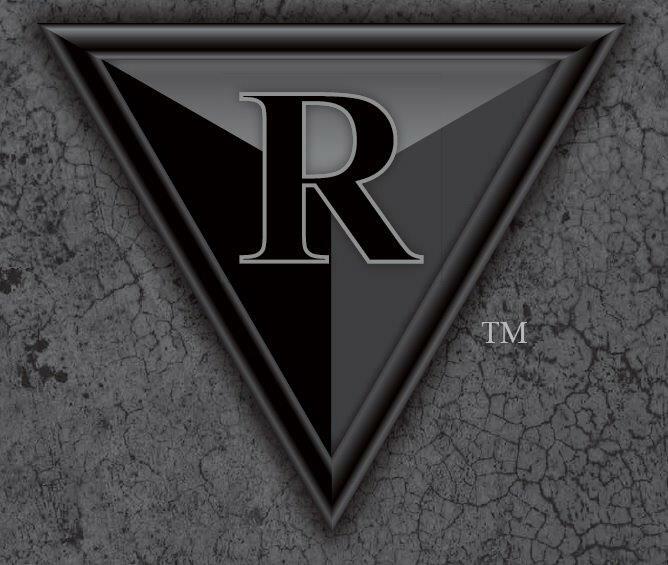 Raine Inc. offers a variety of products in their Raine BLACK line, superior high end gear to be used up to the Tier One level, Made in the USA, and is Berry Complaint. Raine BLACK: “Serving the Best Warriors in the World”. More product information can be found at www.raineblack.com. Check out this video about Raine BLACK’s Quick Adjust sling here. And Try for Your Chance to win one… here. Hurry, winner will be announced on 5/13/14. Don’t miss out on this Giveaway! Winner chosen on Tuesday, May 13th. Winner will be announced on Tuesday, May 13th @ 3 p.m. ET. Here is the puddle jumper taken by Scott Mello, Raine Inc.’s Production Manager this week. Stay tuned for more updates at Raine BLACK’s Instagram. Also, follow us on Instagram, just repost and once we’re at #500 Instagram followers–get in on chance to win a pile of special Raine Black SOF LCS kit here. Our goal is 500 Instagram followers. When we get there, with your help getting the word out, we will randomly select one of you for the kit package. Sling Raine BLACK Friday Giveaway! 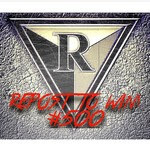 All YOU have to do is repost with #500 to get in on winning a pile of special Raine Black SOF LCS kit at Raine BLACK Instagram. Our goal is 500 Instagram followers. When we get there, with your help getting the word out, we will randomly select one of you for the kit package. Raine Inc. offers a variety of products in their Raine BLACK line, superior high end gear to be used up to the Tier One level, Made in the USA and Berry Complaint. Raine BLACK: “Serving the Best Warriors in the World”. More information on products can be found at www.raineblack.com. Follow Raine BLACK on Instagram to see the latest. Who doesn’t love free kit? Simply repost with #500 to get in on winning a pile of special Raine Black SOF LCS kit at Raine BLACK Instagram. Our goal is 500 Instagram followers. When we get there, with your help getting the word out, we will randomly select one of you for the kit package. Also, you can go here and ‘Like’ Raine Inc. for 20% off your first order on Raine BLACK’s website. Once you ‘Like’ the page, you will receive a special code to use.